I was writing back in December about Mimosa, the color for 2009 as established by Pantone. 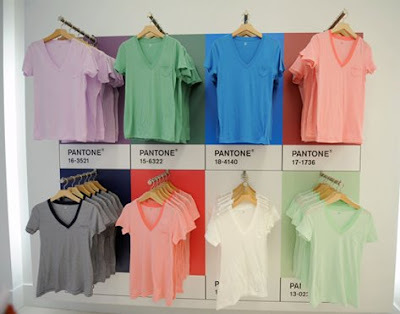 Pantone and Gap have come together and opened a store selling t-shirts and other items using colors out of the Pantone library. 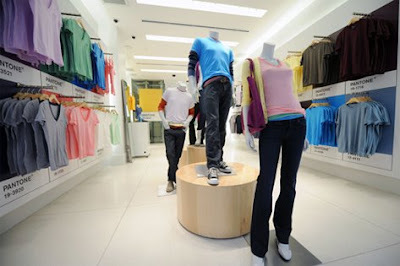 The pop-up store is located in the company’s concept store space on 54th and 5th in New York. 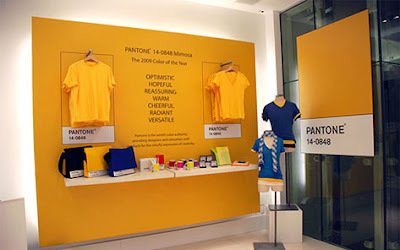 However, Uniqlo was the first mass retailer on the Pantone train. 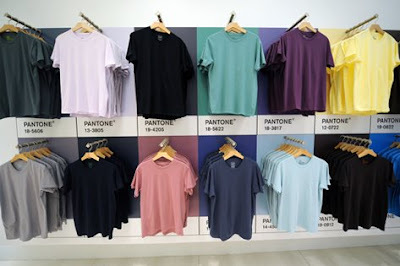 After a successful collaboration with them back in 2007, Pantone continues to break into the fashion industry by teaming up with Gap this time. Well, it's another way of seeing seasonal fashion, as the store is only open until the 8th of February. What I personally appreciate in this project is the possibility of having t-shirts in pure, original shades of color. Great! Pantone describes the color Mimosa (14-0848) as having seven characteristics: optimistic, hopeful, reassuring, warm, cheerful, radiant, and versatile. So be the rest of this year!